Everyone has an outfit that makes them feel pretty and on point. I bought this dress a few weeks ago and was attracted to the bright yellow that just screamed summer fun. I have it in white and navy but the yellow is my favorite. Every time I wear I it people comment. The guard at the gate of my job, my co-workers, ladies in parking lots. 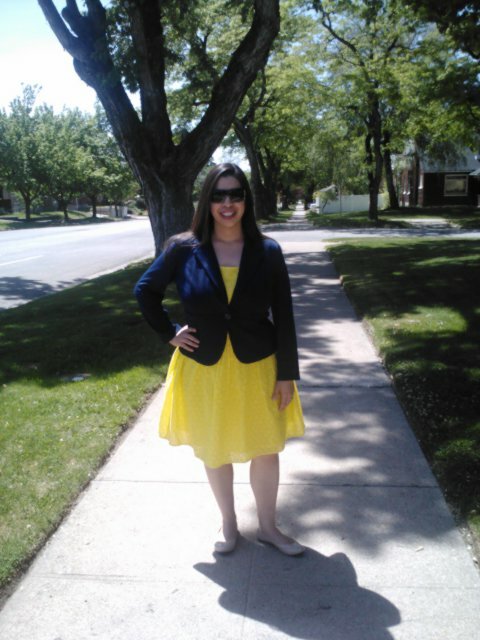 I think the navy blazer makes it the perfect, fun outfit to be professional and fun at work.